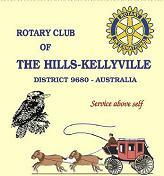 Rotary Club of The Hills - Kellyville meets every Monday for Dinner at the Castle Hill Tavern. The Rotary Club of The Hills-Kellyville is an active and enthusiastic Club which was formed from the amalgamation of the Rotary Clubs of Baulkham Hills, Kellyville (2009) and Winston Hills (2015). Our Club is involved in many activities at both a local and international level covering aspects such as community service, international service, vocational service and youth. Some of our current and recent projects are The Sydney Hills Garden Competition, Jazz at the Pines , Christmas Tree Sales, Writing Competition for local schools, Australia Day ceremony, sponsorship of the Bourke Public School breakfast programme, Youth Exchange students, Rotary Youth Leadership, numerous partnership projects in India and Sri Lanka and supporting local causes such as North West Disability Services and the Children’s Hospital at Westmead. Of course while our projects do provide good fellowship as well as good service we also also like to have fun and fellowship at our social events. If you would like to give something back to the community and enjoy fellowship and fun with like minded individuals you are always welcome at one of our meetings. After our summer break we start the next part of our Jazz concerts on the 17th February with the Geoff Power Jazz Band, followed ion March 17 with Gregg Poppleton nand the Bakelite Broadcasters, on April 28th with the Riveside Jazz Band and concluding the season on May 19th with the Zenith Jazz Sextet. Our winter break will be in June July and August and our next season will start in September, with a new program to be advised in April.. It's a great way to spend a relaxing Sunday afternoon catching up with friends while listening to some great Jazz. The setting under the huge old pine trees at Roughley House, Dural, is hard to beat and as a bonus you can take a tour of historic Roughley House (built 1856) during breaks in the music or enjoy the superb views of the Blue Mountains from the rear of the property.. Bring your own picnic lunch and drinks, and enjoy fabulous home-made afternoon teas from the volunteers in the Visitors Centre. If you book early you can secure a table and chairs or you can also bring your own folding chairs or a blanket to relax on the ground. Where: Dural Visitors Centre, Roughley House, 656a Old Northern Road, Dural, just up from the Dural Country Club. Bookings: We welcome group bookings for all jazz events. Gates are open from approximately 11.30 AM and booked tables are reserved until 1:00 PM, after which any unclaimed tables will be released. Cost $20 adults, $15 concession and $40 family tickets, which includes a lucky door prize and a tour of Roughley House. Tickets are purchased at the gate. Limited parking is available on site with more parking available at the Dural Country Club. Net proceeds from the event will be used for our Rotary projects. Our thanks to The Hills Shire Council it's support. Copyright 2019 the website of the Rotary Club of The Hills - Kellyville. All rights reserved.